I’m thrilled to have dynamo Mortgage Originator Tammy Saul of Federal Hill Mortgage as our guest on this episode. Tammy has built her business from the ground up. As a former attorney she transitioned into being a Mortgage Originator back in 2004 [literally by accident] with no intention of staying beyond the three months, here she is 13 years later. Tammy and her husband have grown Federal Hill Mortgage into a substantial business funding $75Million dollars in 2017. 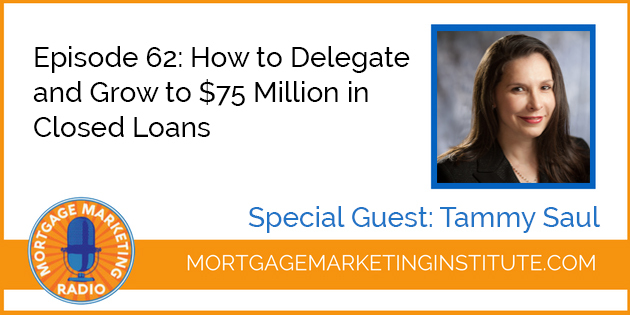 As you’ll hear Tammy describe on this episode, she’s built a phenomenal support team that allows her to do what she does best – originate loans.